George Morris is considered to be one of the most influential trainers in the history of equestrian sports. He has represented the U.S. as a member of the Gold Medal–winning USET squad at the 1959 Pan American Games and the Silver Medal-winning team 1960 Rome Olympics. Between 1958 and 1960, he rode on eight winning Nation’s Cup teams. 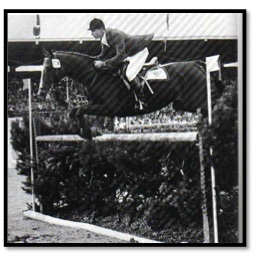 In 1988, Morris won the biggest purse in Show Jumping history at Spruce Meadows, Canada. In later years he served as Chef d’ Equipe for numerous Nations’ Cup teams. A well known author, his first book, Hunter Seat Equitation was first published in 1971. He now holds the title of United States Hunter Jumper Association Certified Trainer Emeritus.